Christian Aid Country Manager for Bolivia, Emma Donlan, describes how digital tools such as WhatsApp are transforming communication between Christian Aid staff, partners and the communities in which we work. WDR partners with Soluciones Practicas (Bolivia) through Christian Aid Ireland. Digital communication tools, such as the messaging app Whatsapp, are transforming the way that we work in Bolivia, and how we relate to the stakeholders and communities with which we work. Our partners have equipped families living in the Amazon with solar ovens to decrease dependency on firewood for cooking. 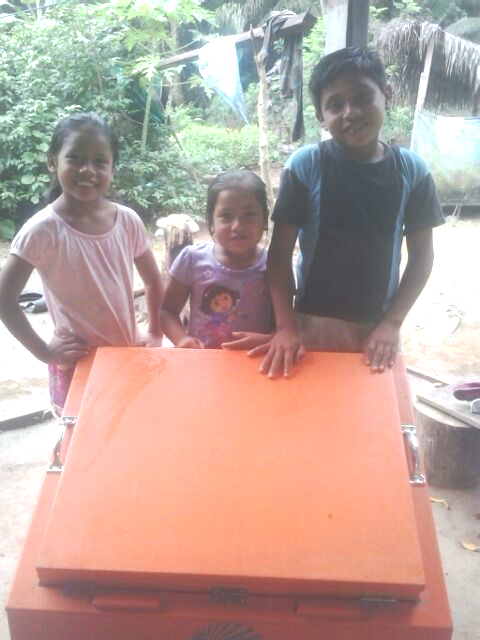 Using the solar ovens not only decreases deforestation but reduces the likelihood of children developing respiratory diseases from the burning of fossil fuels in their small homes. Just last week, I received a Whatsapp message from Damaris, a lady who works in one of the indigenous communities in the Amazon. She sent me photographs of the lunch that she was cooking for her family in one of our solar ovens with a message saying ‘Today we’re having chicken soup’. This is wonderful because it gives us an opportunity to have direct communication with beneficiaries in real-time. With the click of a button I can send those images on to organisations who are funding our partners in this work, or to colleagues so they can be used as a resource when they speak with supporters. Digital communications allow us to close the gap between communities in the global north and the global south. We no longer act as an intermediary, but rather a facilitator of communication and solidarity.